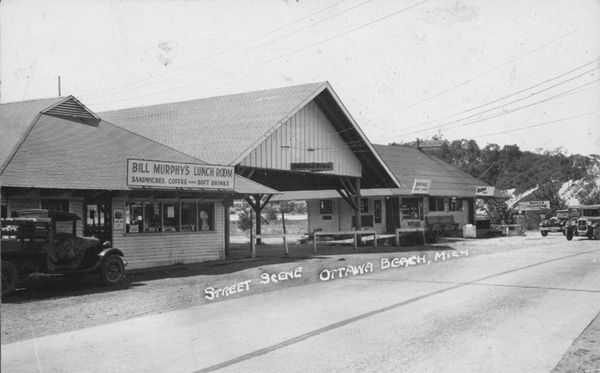 The neighborhood had its own post office with the name Ottawa Beach beginning in August of 1886, two months after the Hotel Ottawa opened. For several years, mail was outgoing only. Hotel infrastructure also included a bath house on the Lake Michigan beach, a small train called “the Toonerville Trolley” to get there from beach to the hotel, a nine-hole golf course (on the site of the current State Park Lake Macatawa Unit), a bowling alley, a billiard hall and a casino. 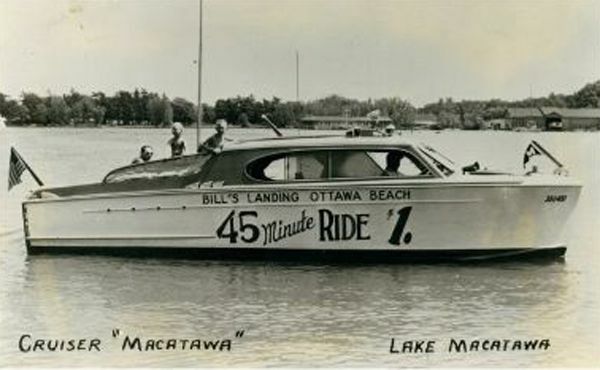 Apparently both the Macatawa and Ottawa Beach resort areas were both known as Macatawa in the early days before the hotels were built as part of their respective resorts. 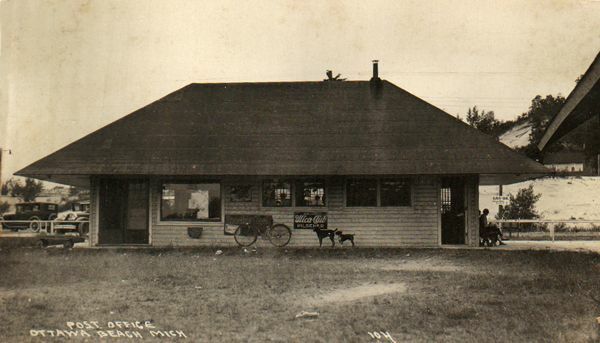 This postcard shows the Ottawa Beach Post Office in the early 1920s. This building has been demolished sometime after Ottawa County came into possession of the park lands. The red brick pumphouse, located adjacent to the U. S Coast Guard Station, is the only structure from the Hotel Ottawa complex that remains. This spectacular panorama was taken in the summer of 1905 from the second floor porch of the Hotel Ottawa. The post office structure is to the far left. Parkside Marina is now operating on this site. Bill Murphy was an important figure at Ottawa Beach for decades. He first served as a watchman/caretaker for the Hotel Ottawa. After the destruction of the hotel and with the creation of the Holland State Park, Murphy operated this lunchroom in the building adjacent to the casino. The post office is the low roofed building to the right in this photo. An additional improvement in 1901 was the installation of an electric light plant which provided power for the hotel and the cottages. The red brick building on Ottawa Beach road, just west of the US Coast Guard Station, housed this electric light plant and later, the water pumping equipment. An elaborate system of wells and water mains supplied water to the hotel and to the cottages in the resort. This water distribution system remained in service until the mid-1980‘s when the resort connected to the Park Township water distribution system. 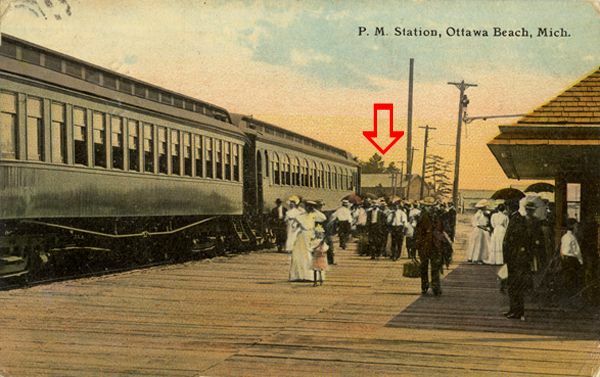 This postcard of passengers arriving at the Pere Marquette station and post office shows the electric power generating building in the background. The facility was coal fired, and the tall smoke stack was necessary to minimize the smoke fumes reaching the cottages up on the sand dune bluff, which are hidden by the train in this view. This building will be the site of the future Pumphouse Museum and Learning Center. 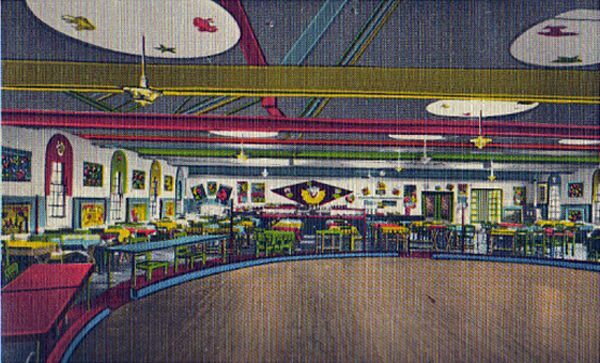 After World War II, Ottawa Beach had a unique restaurant and dance hall. Ex-circus employee Roy Young bought the Killcare Gardens restaurant, put up framed circus posters, programs, and newspaper clippings on the walls and reopened as The Big Top restaurant. The glass front doors are wide open to catch a breeze in this photo. At the right, behind the two gas pumps, the old Hotel Ottawa pumphouse is clearly visible. The Big Top burned to the ground about three years later and the Lake Macatawa lakefront property later became the site of the US Coast Guard Station.